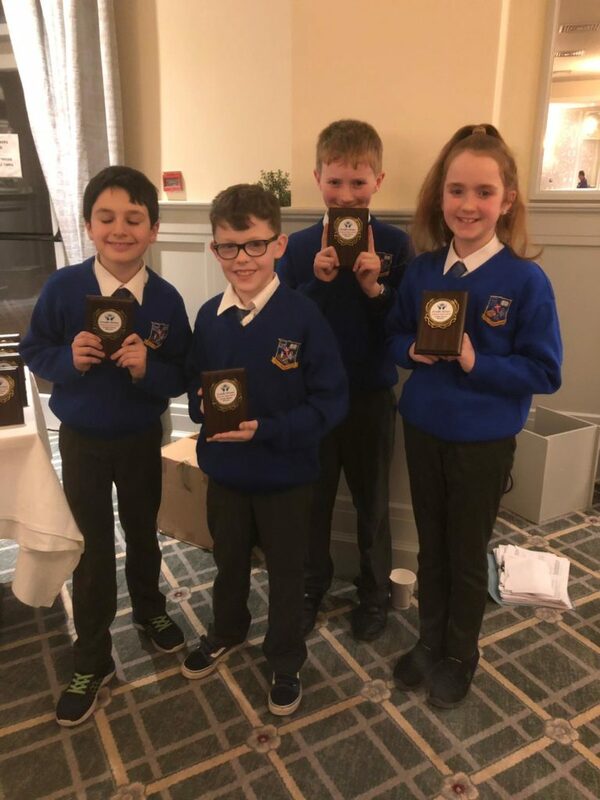 Our schools quiz enthusiasts travelled to Abbeyleix to participate in the local Credit Union Quiz qualifier on Monday evening. Quizzes are always intense and competitive events and the 2hrs of questions in Laois proved no different. Our senior team of Lis-Marie Nebo, George Joy, Max Mulhall and Daniel Henry performed well but didn’t get one of the 2 top spots which guaranteed progression to the next round. However our Junior Team of Daniel O’ Sullivan. Vlad Oprean, Ryan Darling and Isabelle came second in their age category and now go to the Regional Finals t represent SPN. This is a great achievement from our students and their mentor Ms Concannon.